The first few weeks of the program have already flown past. The level of autonomy we’re working at currently took less time to achieve than I expected. A mere eight weeks ago we were struggling to knock out our bench joints using tools we had just learned to sharpen correctly. 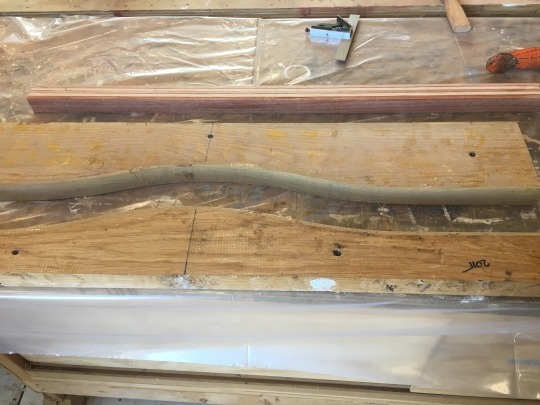 We learned the subtler points of keeping your fingers out of the way of chisels and the importance of dulling the non-cutting edges; we go through a lot of band-aids in the first few weeks. Thankfully we have a well-stocked cabinet of any type, size, and shape you could want or need. 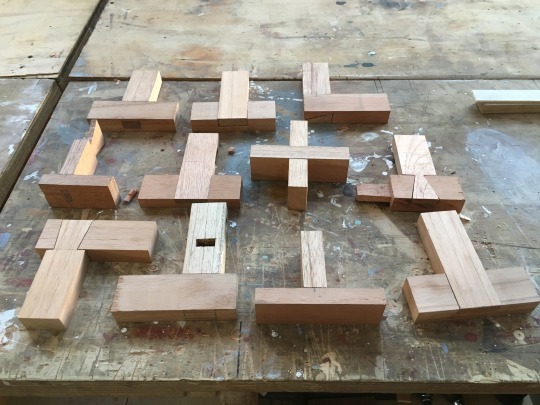 We progressed from basic joinery into making our joinery mallets. Hans, our instructor, handed us a block of white oak and a roughly cut handle of the same to turn into one of our primary tools for the year. It was night and day working with the solid oak versus the soft cedar we were using for our bench joints. White oak is much harder to chisel out, and this was the first time I truly appreciated a sharp chisel vs. what I initially considered sharp. 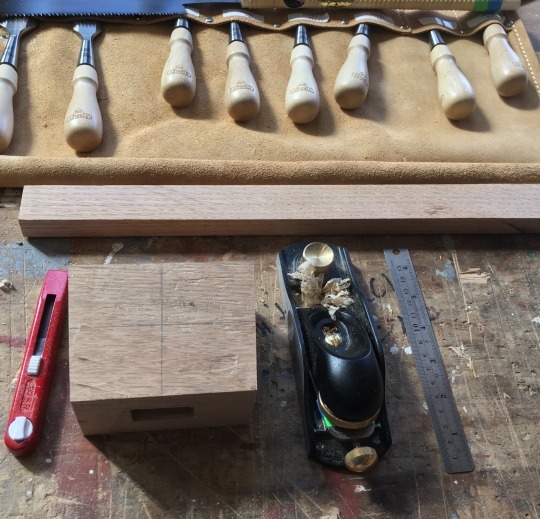 The first-year program puts an emphasis on doing things with your hands and therefore using hand tools; your hands will hurt, your arms and shoulders will ache, but you’ll have a greater sense of pride in the product you made. Around week three we began to work on brass bevel gauges, this was our introduction to the small amount of metal work we would be doing. 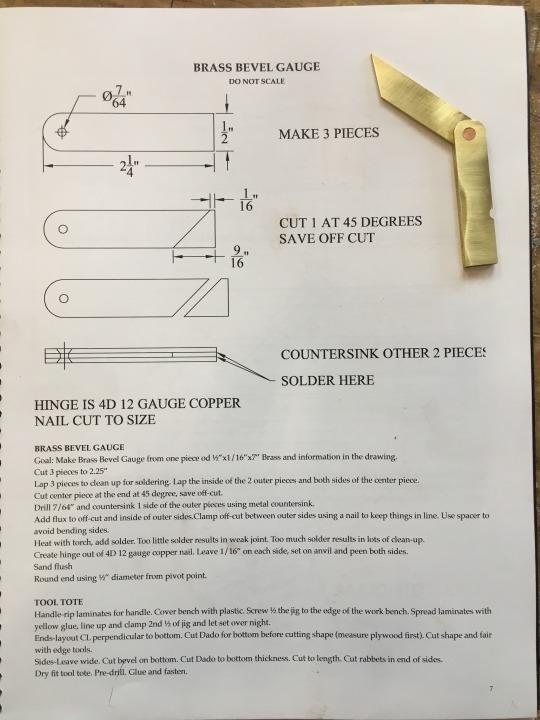 The most significant part of the bevel gauge is following the plans in our books exactly, or you’ll spend a lot of time fixing your mistakes or at worst making a new one entirely. While metal work isn’t my favorite thing, I think my bevel gauge came out well. Our last introductory shop project was our tool totes; the project introduced us to working with table saws, band saws, planers, pretty much every piece of shop machinery that we have. Joel and Hans start us all off at square one to head off any ingrained safety issues and to give people who have never worked with these tools before an excellent base of knowledge to build off. 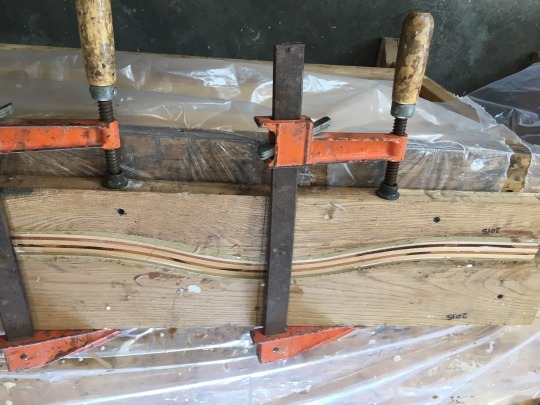 The handle for the tote was our first foray into bent lamination which we would be using later for the stems of our boats. We used molds to bend strips of whatever wood we chose from the scrap bin into our handle shapes. 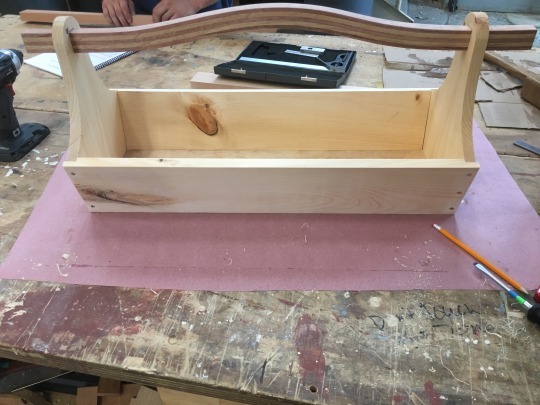 The completed tote isn’t necessarily a useful item in and of itself; the techniques and attention to detail we learn while building it will be instrumental further into the program. This program is extremely active, rarely is there a time where you’re just standing around the shop with nothing to do. There’s always another project to start, another piece of the boat to be roughed out, or a side project to be caught up. I enjoy the feeling every night of being physically exhausted; there’s something profoundly satisfying to me about lying in bed sore but feeling like I accomplished something.